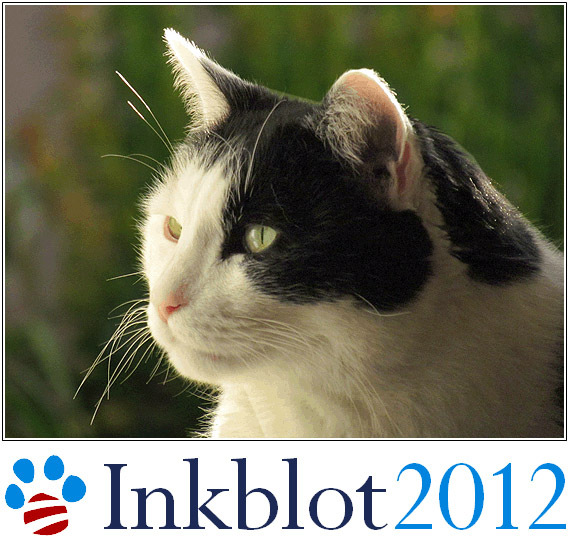 Inkblot’s senior campaign staffers have decided that Friday’s campaign poster didn’t show the candidate at his presidential best. Too squinty-eyed. So here’s their second bite at the apple, a truly visionary and inspiring Inkblot dedicated to winning the future. How could you not vote for him?